Massa – Beach, Sea In Remorse? 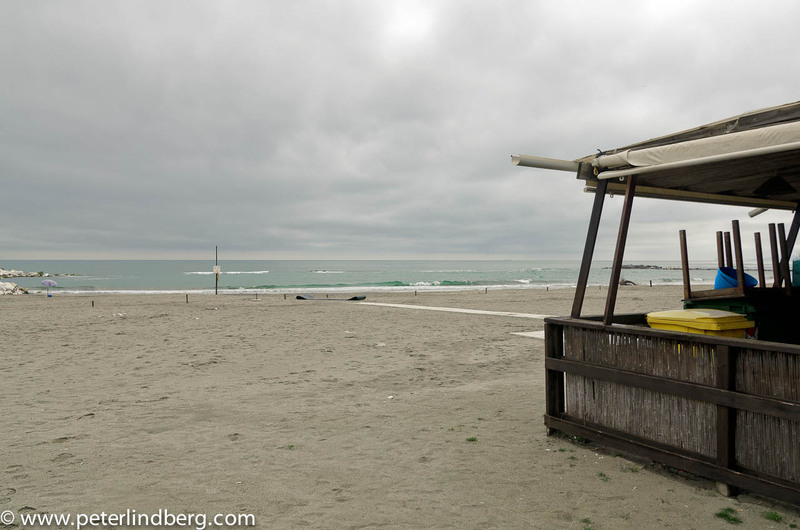 The beach in Marina di Massa, Italy. The off-season again. I like the off-season. Leaves more to fantasy. And all the trash blown in from the Mediterranean sort of gives you a reciept on how destructive modern society is. During summer and high season everything is cleaned up. Bet the sea is still full of it; garbage dumped by ships owned by greedy owners, by nations that don’t value Mother Earth. By people too poor and uneducated to care or know better. And lots of garbage is being exported by mafia from Italy and the Balkan. So there is the backside of fancy living on the European side, that creeps up on us during winter, as a reminder. Greed hits back. Ignorance hits back. But we get to pay.